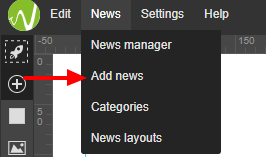 To add your first newsfeed to a website in website builder WebWave, you need to firstly create a newsfeed layout to set the way news will be displayed. You should also add a newsfeed list to enable website users to enter a subpage, on which article is presented. Newsfeed list displays news existing on your website. Its style can be freely modified. Before you add articles to your website, newsfeed list will show exemplary content. Exemplary content is visible only in the WebWave builder and it has been created to help you adjust a style of a newsfeed list. After website publication, newsfeed list shows only real news. 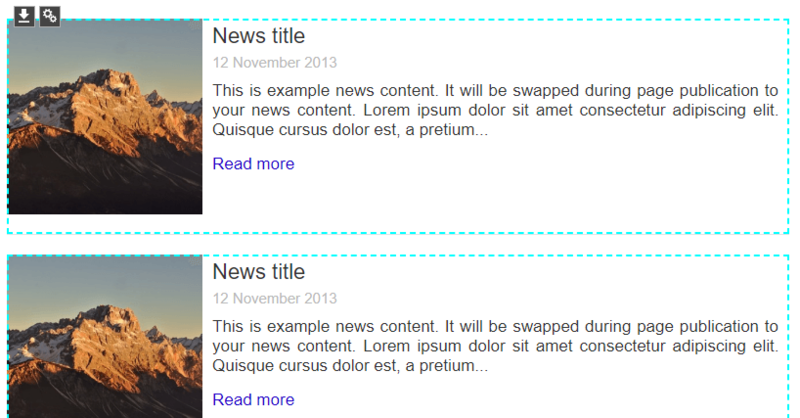 To set a way newsfeed will be displayed, create a newsfeed template. Before you write your first news, you need to tell the builder how should it be shown. 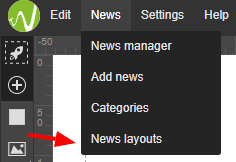 In website builder go to News -> News layouts. Configure a newsfeed layout. Read how to do it here. If you created a newsfeed list and a newsfeed layout, now it is time for you to create your first news. Go to News-> Add news. An article style will be based on the previously created newsfeed layout. 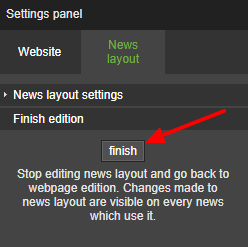 Enter news title, content, add a thumbnail and in Settings panel select "finish". Check how the news looks on a newsfeed list. The news has been successfully added. In the newsfeed list, you will see its preview.